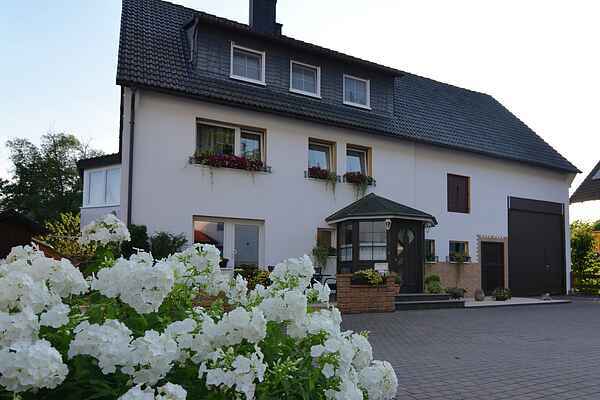 This newly renovated holiday home furnished in a modern design is located on the south slope of the Sauerland region in the little town of Medebach-Dreislar. The town is only 2 km from Winterberg, a popular holiday and winter sport destination, and 25 km from Willingen. A separate exterior entrance gives you access to the fully equipped, ground-floor holiday home. There is a nice sunny terrace with garden furniture and a grill directly in front of the accommodation. A wide variety of well-marked hiking trails lead throughout the area, passing by interesting sights. Highly recommended pubs and restaurants are also close by. The region offers a full range of sport and leisure options both in summer and winter. Popular excursions in the region: High ropes course (9 km), subtropical swimming paradise (CenterParcs 8 km), Fort Fun, Panorama Park, Edersee (25 km), Diemelsee (30 km), Mountainbike Arena Winterberg (22 km).